March on. Do not tarry. 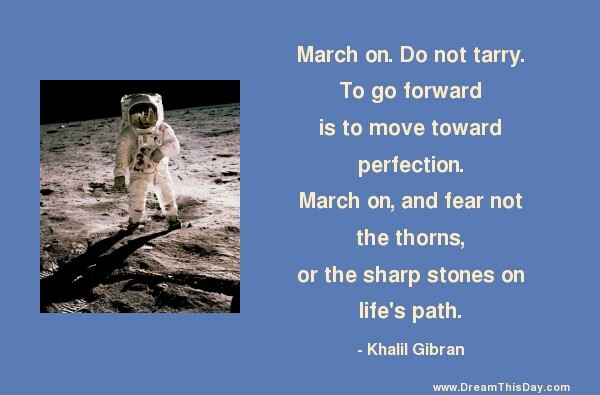 To go forward is to move toward perfection.